With valentines day fast approaching The Flower Barn, Rothley is preparing its self for the appearance of truck loads of red roses!! 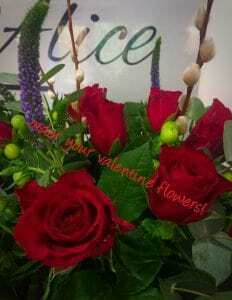 I really look forward to helping spread the love on Valentines Day, seeing those happy faces when we deliver bouquets all over Leicestershire. We are offering bouquets from the traditional to the modern to suit all of your loved ones. Remember we are here to help, doesn’t be a loser this Valentines day! Order your bouquet today to avoid disappointment.